The WWE will attack the WWE Universe with a new take on an old pay-per-view. The World Wrestling Entertainment will bring back Over the Edge with a twist as they present WWE Over the Limit. WWE Over the Limit looks a lot like WrestleMania 26 Part 3 and will feature several title matches. The downside to WrestleMania is that if you don’t like that year’s WrestleMania event, you are stuck with it for a few months. Once again the WWE will milk their WrestleMania show with a couple of rematches straight out of the biggest show of the year. WWE Over the Limit will feature five WWE title matches, one of which being the end of a trilogy for one of the most exciting feuds of the year. John Cena vs. Batista for the WWE Championship (I-Quit Match). I didn’t expect to get sick of this feud, but I am about ready for this one to end. While I think that Batista has been in my opinion the most entertaining wrestler in all of pro wrestling through this feud, this third match just doesn’t make a whole lot of sense. I can’t understand the logic in doing three big matches on consecutive pay-per-views, with the same guy winning all three in this case. As excited as I was for their WrestleMania 26 match, their WWE Extreme Rules was hugely disappointing. The match itself wasn’t terrible, but that finish was just horrendous. I can’t understand why the babyface would be booked to go over in that situation, when they would come back a few weeks later with a rematch? Not to mention, you can read my review of the Extreme Rules show for my thoughts on the match and John Cena’s psychology or lack thereof. Let’s just say it wasn’t pretty. The new twist on this old feud is an I-Quit match. For a guy that does so little submission wrestling, John Cena has probably wrestled in more Submission and I-Quit matches than anyone in wrestling history. The word on the street is that Batista will be wrapping up with the WWE following this match. This would lead me to believe that Batista will be quitting on Sunday. Although it would not shock me whatsoever to see a major swerve here since John Cena has already won two matches here. I will go out on a very long limb here and predict that Batista wins the WWE title in some kind of a screwy ending and drops the belt the next night on WWE RAW to Sheamus. Jack Swagger vs. the Big Show for the WWE world championship. Did I just really write that? Look, I was pretty excited when Jack Swagger won the title. I liked seeing a new face in the mix. I also really liked Jack Swagger’s run as ECW champion. But this one just isn’t doing it for me. Yet is the Big Show the guy to end this experiment and hit the road with the WWE world championship? The Big Show always seems to find himself in these situations. He has turned out to be a transition champion quite a few times throughout his career. Whenever a title needed to come off of someone quick, the Big Show has been the man to reap the benefits of this. I don’t think that the WWE Universe is clamoring to see the Big Show run with the WWE world title in 2010, but they could do a lot worse (and they have). I don’t get this match whatsoever. Teddy Long must use the same logic as Scott Coker in naming his number one contender. Here is a match between two guys with completely different styles that in no way shape or form could produce a match that could keep fans on the edge of their seats. This is hardly the type of match to showcase Jack Swagger in. Swagger is bombing badly in my opinion, being booked to look like a goofball and not in an entertaining way. I predict the end of the Jack Swagger era and a future feud between the Undertaker vs. the Big Show for the WWE world title. Edge vs. Randy Orton. I interviewed Edge on my radio show back in 2005. It was a week after he and Randy Orton went nose to nose on WWE RAW. I mentioned to him that it looked like the start of a long feud that would see them wrestle off and on over the next several years. He agreed and it looks like we were both right. This one just isn’t clicking and it really isn’t anyone’s fault. Well, it is the WWE creative team’s fault for turning the wrong guy but that’s another story. The fans just aren’t buying into Randy Orton. I get the impression they are just waiting for him to turn back into a heel. I would take that as a compliment if I were Randy Orton because it just goes to show you what a convincing heel he really was. 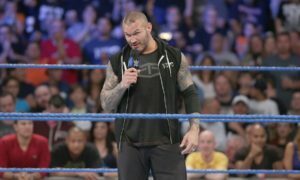 I think the WWE Universe wants to hate Edge, but there is a big chunk of them that would like to see him kick in Randy Orton’s teeth. I think this one is the dark horse of the night. I feel that these two guys know they are in a great position here to steal the show. In past matches, the two have worked really well together and seemed to have good chemistry. This is obviously just the first in what is likely a long series between these two WWE superstars. I like the possibilities and they have probably had more of a spotlight on their feud than anything else in the WWE lately. It looks like over the last few weeks that Edge has had the upper hand most of the time in the various angles. So it looks like to me that Randy Orton would go over in the match. On the other hand, what is the point for doing a long series if Randy Orton goes over in the first match (See Cena vs. Batista)? I would look for some kind of wacky finish here whether it is interference or a disqualification. Whatever the finish, this one needs to end with Randy Orton getting some fan sympathy. I look for an Edge win here, but only by a disqualification thus allowing one or two fans to shed a tear for the Viper. Rey Mysterio vs. CM Punk…Hair vs. SES Membership. The WWE got it right with this one. 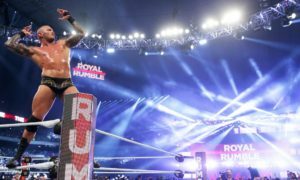 Rey Mysterio won their match at WrestleMania, while CM Punk won their match at WWE Extreme Rules. Punk won due to interference from the new Straight Edge Society member. The trilogy here will end with either Mysterio joining the SES or CM Punk shaved bald. I think these guys have had some good, not great matches. But, the angles here have been tremendous. I would suspect the new member of the Straight Edge Society to play a part in the finish of the match. The easy answer here would be Rey joining the Straight Edge Society, thus extending their feud through SummerSlam. However, I don’t see that happening. I think the WWE has bled this well dry and will end this one on a high note. I predict a bald CM Punk and a lot of fun promos over the next few weeks of a freshly shaven CM Punk.